Originally built in the 1700s, the architecture at Pollards Mill hints at this historic richness from the time its verdant grounds give way to the sight of the façade of its dwellings. 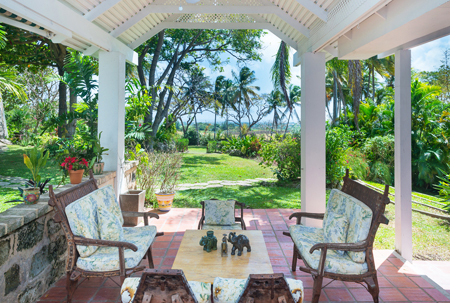 With its coral stone walls, jalousie-esque windows and magnificent mill wall from which it derives its name, the property features a 3-bedroom, 3-bathroom main residence, a 3-bedroom self-contained guest cottage and an annexed 1-bedroom villa. The main house offers stunning views of the Caribbean Sea from terraces, and its swimming pool offers a quiet oasis to enjoy a cooling dip. However, one of the most modern incarnations of the property is its transformation into the perfect backdrop for marital bliss. The grounds at Pollards Mill include a garden chattel, which was built to accommodate changing facilities for ladies and gents for such occasions hosted on property. 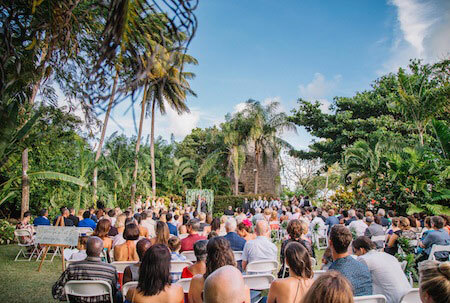 Its expanse also makes it the perfect setting for other special events and intimate celebrations, as well as the ideal holiday home for large families and groups looking for the epitome of country living in Barbados. Life at Pollards Mill is impeccably serene, but a change of pace is always within reach. Just a few minutes to the south by car is the energetic Bushy Park, a world-class racing circuit that is home to several international events throughout the year. A stone’s throw to the north-east is the hit picnic spot Three Houses, and farther yet is the beautiful Codrington College, a picturesque and relaxing oratory with beautiful flora and fauna. But most notably is its proximity to the most riveting coastal spots on the island, including the beautiful Crane beach, Bottom Bay, Foul Bay, and Bathsheba - the island’s home of surfing. The main town within the environs of Pollards Mill is found at Six Roads, and it is an area that includes a supermarket, gas station, convenience stores, bakeries, banks and several other amenities. It is also just a few minutes’ drive away from the Grantley Adams International Airport and the bustling fishing village of Oistins. Therefore, it is settled: Pollards Mill offers the best of country living, within a beautiful historic gem while also offering wonderful connectivity to major amenities and recreational spots for all the family to enjoy!